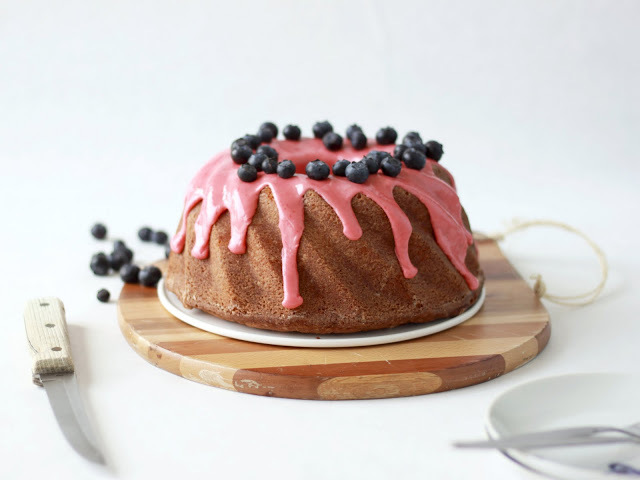 Vanilla Almond Bundt with Strawberry Glaze — always with butter. Oven 350F. Butter and flour a standard size bundt pan. Whisk flour, baking powder, baking soda and salt together in a bowl. In a separate bowl, cream butter and sugar. Add in vanilla and almond. Add in eggs one at a time. In alternating batches, gradually add in the flour mix and buttermilk. Pour into pan and bake for about 1 hour. Cool completely then invert from pan. In a food processor, pulse strawberries until smooth and add in powdered sugar by the spoonful until desired thickness is achieved. 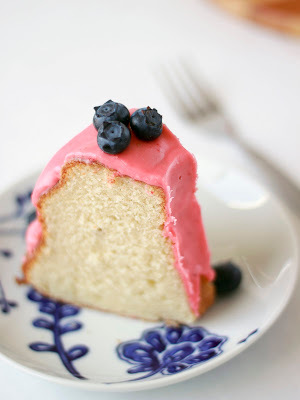 Pour over cake and sprinkle with blueberries.